I shared a text messagae I got from my husband one day this week on Facebook. I think it might be the most popular thing I have ever shared on my Facebook page. I think you all like it when I keep it real. Today’s thankful post is also a keeping it real post. I am thankful that in 21 years of making my husband’s lunches today was the first time I forgot to remove that little paper that is between the cheese in those pre-sliced packages you can buy. 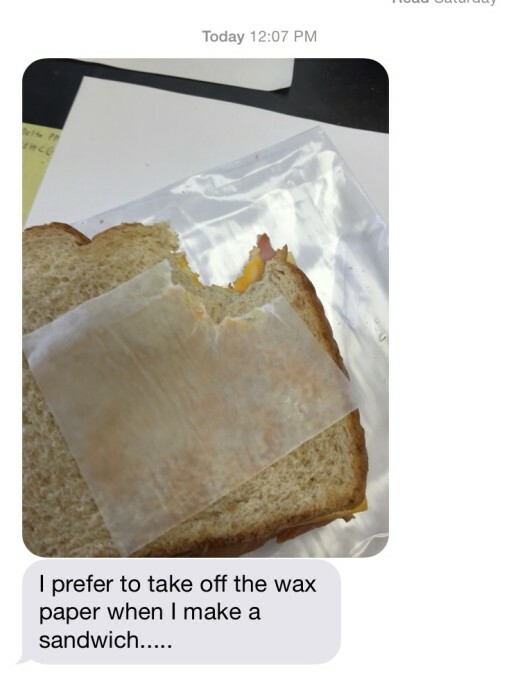 Yes, this was the text that my husband sent me today over his lunch break…. I guess I was not quite awake when I made his lunch today! Yes, I totally did that! And since most of you do not know my husband I will let you know that he thought it was funny. I called him after he sent the text and he was laughing. He said he took a bite and could not figure out what was wrong with his sandwich. I think we will be talking and joking about this one for awhile! I am loving my thankful posts on Facebook. It is really helping me to step back at the end of every day and focus on how much we have to be thankful for. Sometimes we overlook the little things and yet even in the little things there is much to be thankful for. This is what I shared on Sunday. I did not get a thankful post up yesterday so today you get a weekend thankful post. 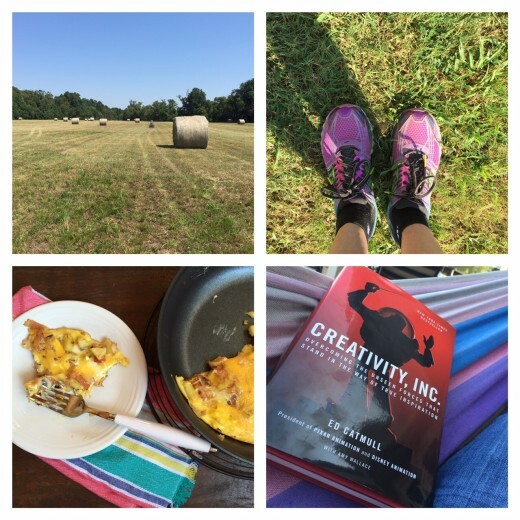 I am thankful for some morning four wheeler riding fun with my son yesterday, a Saturday morning run, church today, a new recipe that was delicious, and a quiet evening for a little reading on the hammock. What are you thankful for today? It really is the little things to be thankful for. Nothing ground breaking or exciting happened last weekend. And nothing bad happened. It was just a normal weekend and yet in the normal there is much to give thanks for. 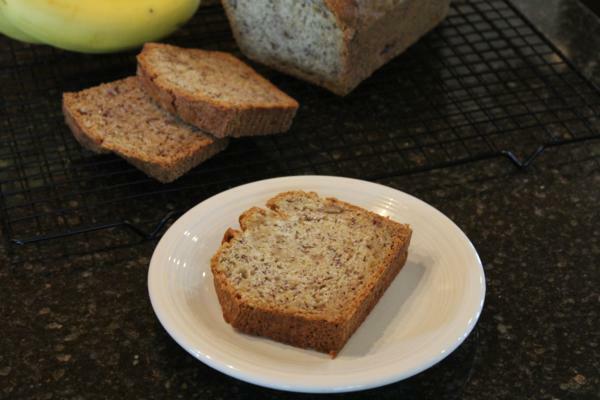 I think I will be making some of this banana bread over the weekend. It is a new favorite at our house. It is a great way to use up extra bananas. If you have not tried my new dairy free banana bread you need to. Delicious! This was the view from my front porch one night this week. I stepped outside after a long day and saw this sunset. It made me really step back and appreciate life in the country. 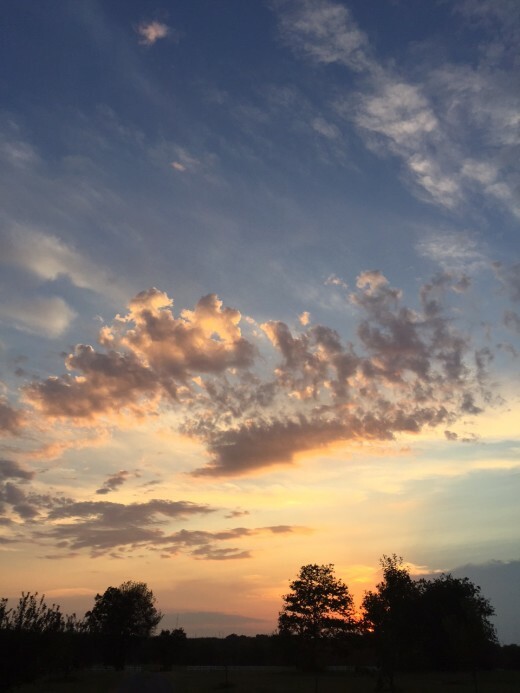 Sometimes we are so busy that we forget to stop and enjoy the view. I need to stop and enjoy the view more often. Living in the country is a lot of work, but views like this remind me why it is all worth it! Thanks for sharing that. I am glad I am not the only one that has made lunches while still half asleep!